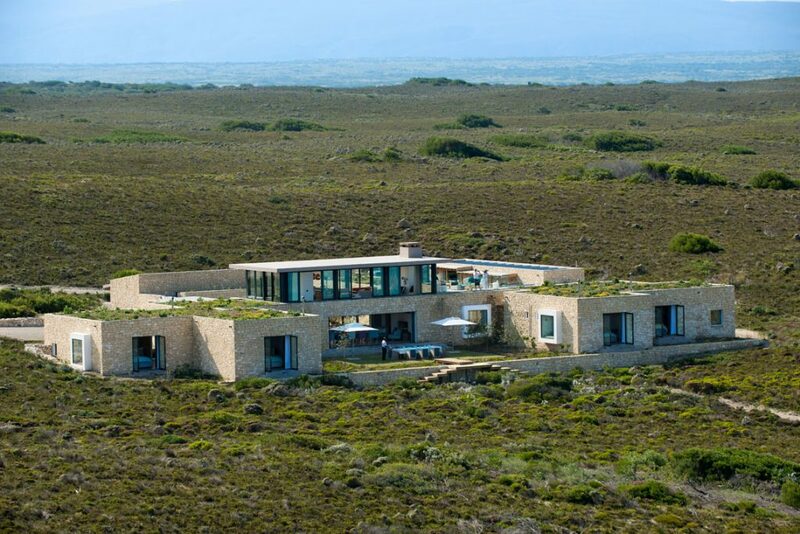 Within the Malaria free the only 5 star accommodation in De Hoop Nature Reserve. 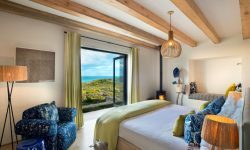 Cocooned in utmost luxury a 4 bedroom oceanfront home within one of Africa’s most beautiful coastal reserves the 36,000 hectare De Hoop Nature Reserve. De Hoop Nature Reserve also boasts 51km of pristine white sand beaches and dunes as well as lime stone cliffs, rock pools, wetlands, coastal fynbos and the reserve is the home of more than 260 species of birdlife. 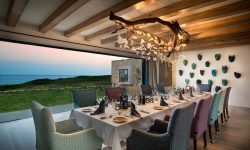 The Ocean House offers bird’s eye view of the Whale Nursery, as Southern Right Whales migrate to the shallow coastal basins of the Overberg Coast for the calving and nursing season from mid- July to November. Morukuru Ocean House accommodates 8 adults and 4 children of all ages. 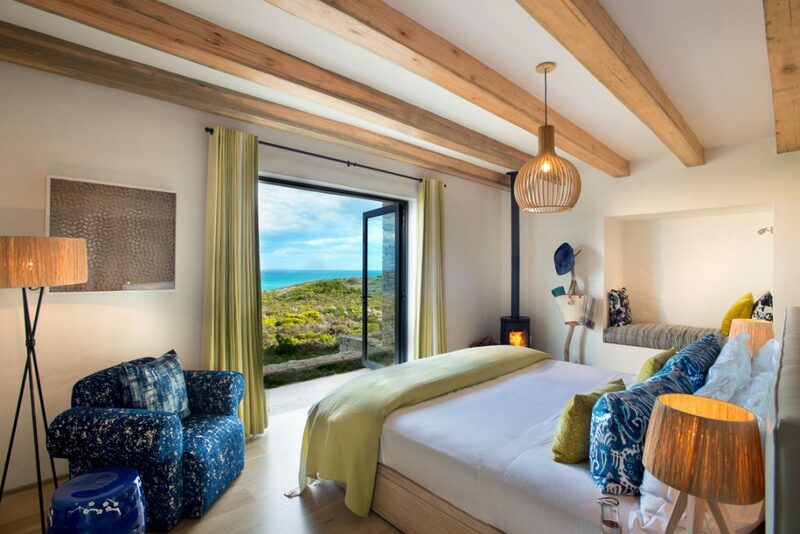 The 4 double en-suites have glass doors overlooking the ocean. 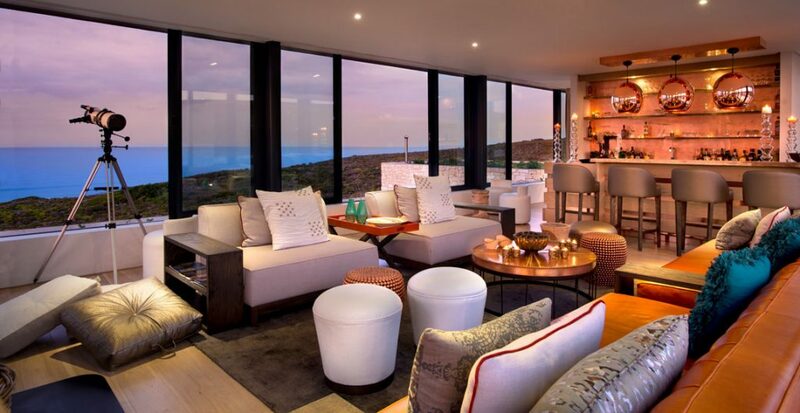 The interior design is inspired by the surrounding fynbos dunes. 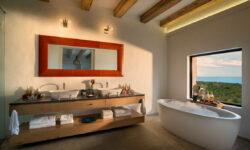 Activities such as guided marine walks and mountain biking to sand boarding in privacy. 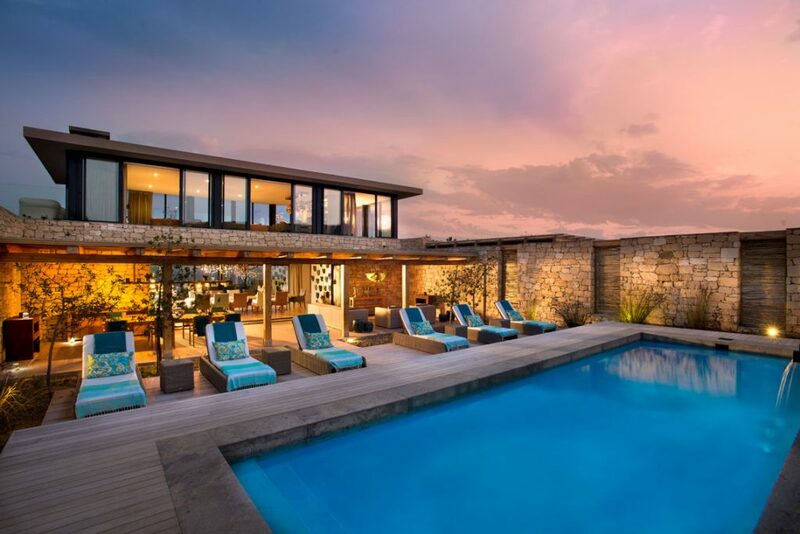 You can relax by the swimming pool and enjoy the delicious food and drinks by your personal butler and cooked in your private kitchen by your personal chef. 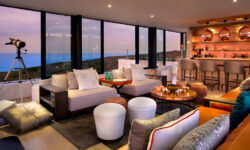 The Morukuru Ocean House is eco friendly and off the grid using solar power.